Pennsylvania is known for Hershey’s Chocolate, the Slinky, and for being the birthplace of the Declaration of Independence.This is clearly relayed in the state motto, “Virtue, Liberty, and Independence. Known as the Keystone State, and named as such because of its key geographic position in the original 13 colonies, it was founded by William Penn in 1681. Pennsylvania was one of the 13 founding states in the United States of America. The Great Dane was adopted as the state dog in 1965. William Penn owned a Great Dane as a companion and working dog. An original portrait of Mr. Penn and his trusty canine still hangs in the reception area of the Govenor’s Mansion. Pennsylvania is rich in agriculture and is the nations largest producer of mushrooms, 4th largest producer of eggs, and 5th largest producer of milk. A Commonwealth that is rich in history, some very influential people had their origins in the state. The 15th President of the United States, James Buchanan, was born in Cove Gap, PA and was the man known well for preceding Abraham Lincoln as president. Some other well known PA natives are Daniel Boone, Bill Cosby, and General George C. Marshall. Well known for its plentiful population of White Tail deer (state animal) in the Appalachian Mountains, PA is a state that still has its share of wilderness. The state bird is the Roughed Grouse and was designated as such in 1931. Also known for its Brook Trout, it is not uncommon to see bridges lined with fisherman in early spring each year. On warm summer nights, the air lights up from the state insect, the Firefly, also locally known as the “Lightning Bug”. Pennsylvania is the 6th most populous state and the 9th most densely populated with over 12 million Americans. Home to the Philadelphia Eagles and the Pittsburgh Steelers, PA is definitely considered rich in sporting history as well. Pa has 121 State Parks, and many tourist attractions. Lancaster County is well known for its Amish Culture and for having large outlet chains where a person could literally shop for days. People travel from hundreds of miles to see the “Horse and Buggies” and the tourist trade is a large part of PA’s economy. 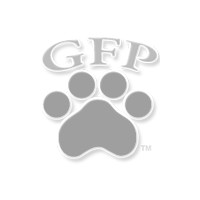 Pennsylvania is where Greenfield Puppies was founded in 2000. 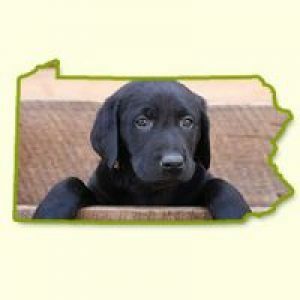 We built a strong network of Dog Breeders here and continue to offer quality services throughout the state. 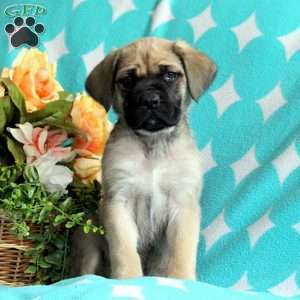 We are here to fulfill your needs as a person looking for a new puppy or as a breeder looking to find quality homes for their pups. Please contact us at (717) 826-9054 with any questions.